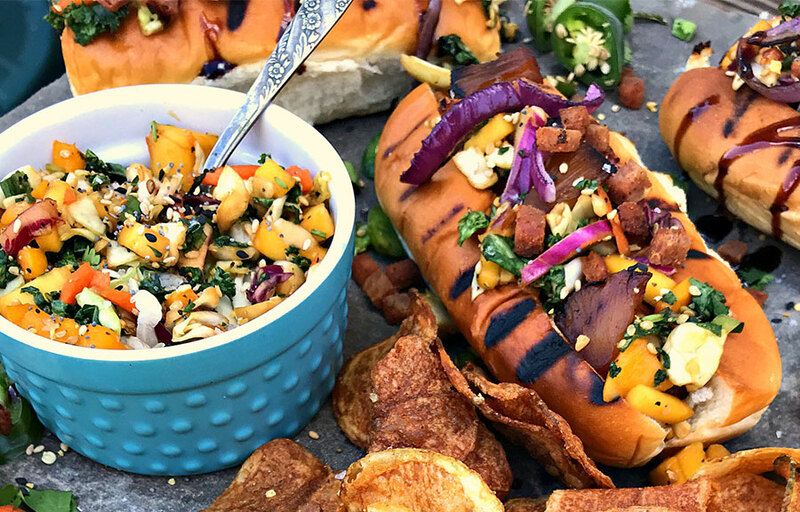 Hot dogs are such a fun food for entertaining, and we do love our traditional fixin’s here in the South. But how about a fun twist? Light the Tiki torches and head outside! There's more luau-ready recipes where that came from! Head over to our Hawaiian Macaroni Salad for a tropical treat. Combine slawsa ingredients and let marinate several hours or overnight. Grill hot dogs and buns. Brush pineapple and onion with teriyaki glaze. Grill until lightly charred. Roughly chop. 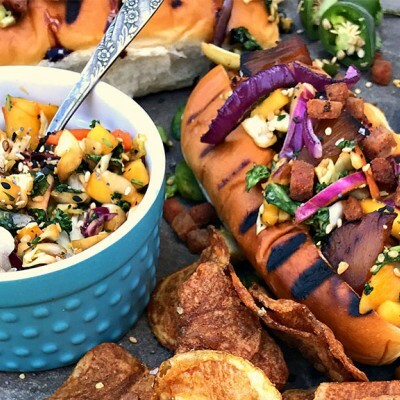 Stuff grilled dogs into grilled buns. Top with slawsa. Scatter with pineapple, onion, Spam, jalapeños, additional cilantro, sesame seeds and drizzle of teriyaki glaze. *We used a kale mixture for the slaw mix.